My lovely, talented, and creative wife made lunch for her coworkers. 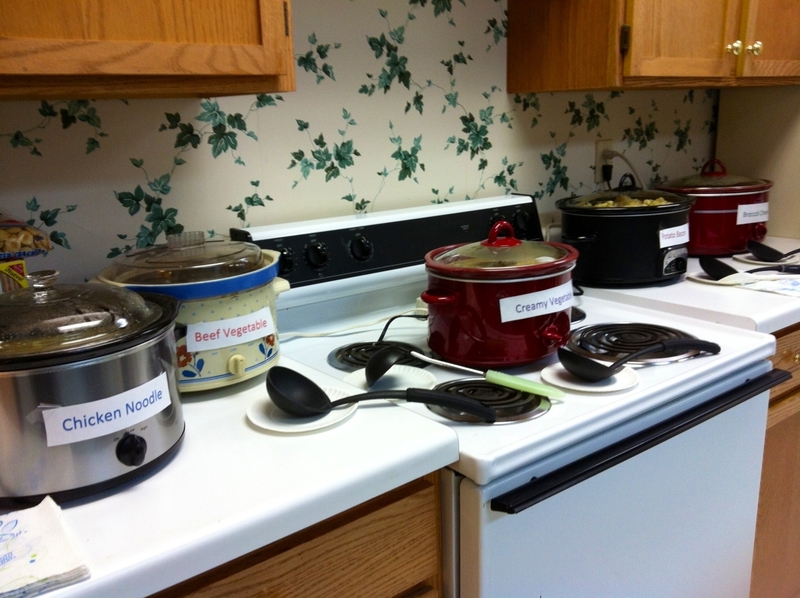 Five crock pots of home made, not out of a package, soup. Quite the lucky day for them!! !